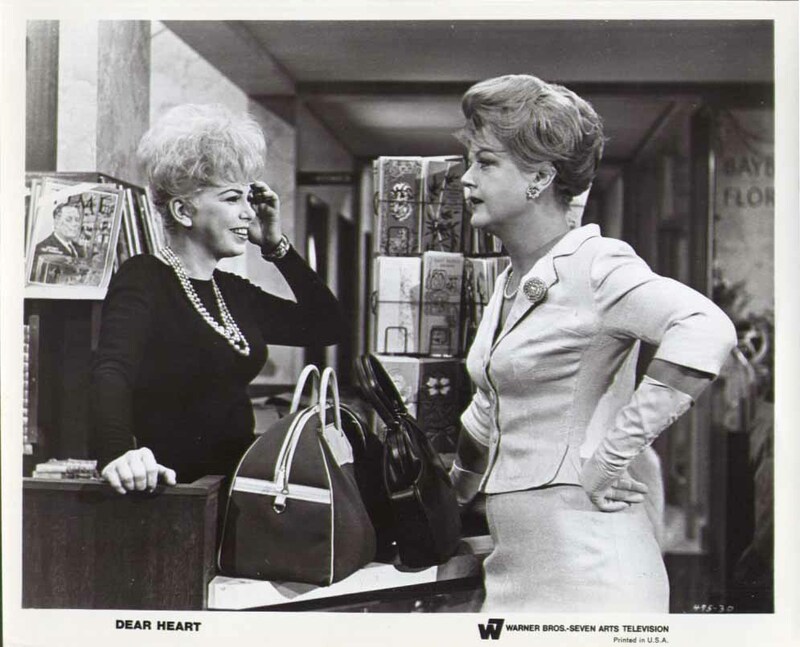 DEAR HEART came out in 1964. It showed up on TV a few years later, where I first saw it, and was moved by the pretty theme music and the sentimental comedy-drama of two lost souls meeting at a convention in New York City. 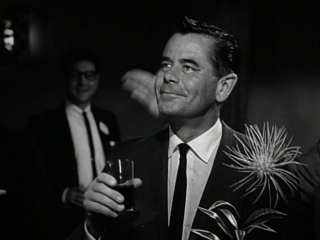 I was predisposed to like Glenn Ford, because of Christmas showings of A Pocketful of Miracles and The Teahouse of the August Moon, and I guess at twelve or thirteen I was getting some inkling about how hard it might be to locate the ‘right someone’. Had I known how hard, I would have gone down an easier path, say informant on the Mafia or scout for the Green Berets. Seen again, five decades and at least seven broken hearts later: well… the theme music is still great. Ford works hard and leading lady Geraldine Page puts her customary dedication to throttle. There are a slew of familiar, amusing supporting players. The first half works pretty well, Tad Mosel’s script scoring hits & misses mostly saved by the actors. Then director Delbert Mann lets the pace slow to a crawl; the last third just groans. 114 minutes would have worked much better at 95, even with the sappiness, outdated attitudes, and clunky behaviors. It strains. Critics dumped on it and it’s a footnote in both star’s careers, and that of Angela Lansbury, who shows up to try and revive it at the end. Michael Anderson Jr. plays the ‘college kid’: he was all over the place in ’64-65. Here the big ‘joke’ is his beard (as in college+beard= ‘those zany young people nowadays’). His interplay with Ford is feeble in a way that could serve as a good example of how out-of-touch mainstream entertainment really was with societal undercurrent: you’ll want to bring on the draft cards & tear gas already. Barbara Nichols gets a few easy laffs doing her bimbo routine. Looking at Delbert Mann’s directorial chronology you can see his strong start in 1955 with Marty, followed by seven years of good films, then the decline of quality began about a year before this and remained in low gear. Page remained primarily a stage actress (only 28 films), movie audiences never fully buying her. Mannerisms which played well in theater always seem more studied than genuine: I always feel myself wanting to like her more than I do. Ford had passed his peak. Though he’d had a long winning streak, he was dealt a number of expensive flops prior to this—Cimarron, A Pocketful Of Miracles and The Four Horsemen Of The Apocalypse—and the failure of this movie, along with two more the same year—the not-bad Fate Is The Hunter and the not-much Advance To The Rear—sealed his retreat into second-tier features. Henry Mancini’s wistful theme got the movie an Oscar nomination for Best Song, but Mary Poppins whisked it away with “Chim Chim Cher-ee”. Andy Williams had a hit with his cover of the tune. Seasoning: Patricia Blake, Richard Deacon, Charles Drake, Ruth McDevitt, Alice Pearce, Mary Wickes. And Ken Lynch as ‘The Masher’. Yes, folks, it’s 1964 and a character is still called ‘The Masher’. This movie has a lot of fans still, and I appreciate their sentiment, so why not leave it at that? I wonder how many of them are still looking for that special person?